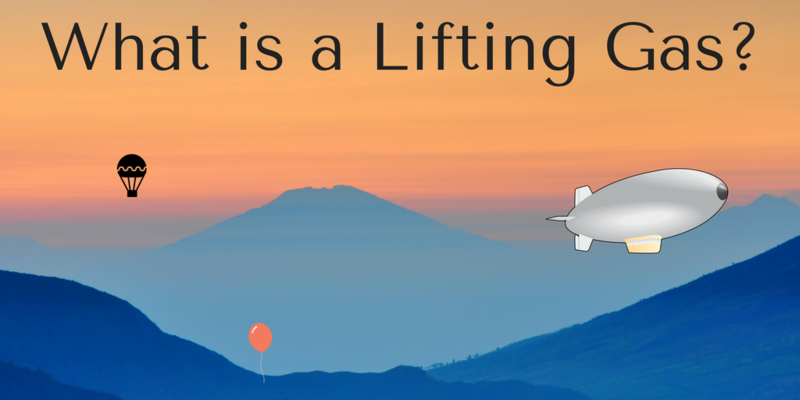 Home / balloons / blimps / chemicals / chemistry / flight / gas / gases / helium / hydrogen / lifting / methane / neon / What is a Lifting Gas? What is a Lifting Gas? 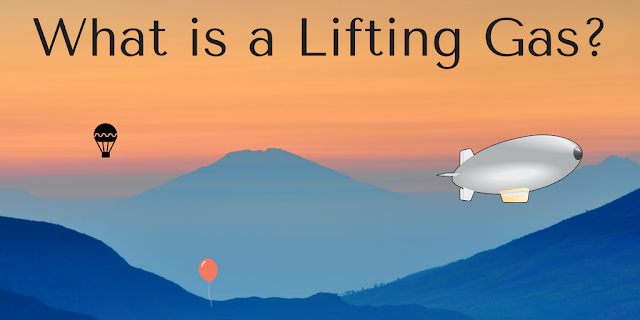 A lifting gas is a gaseous substance used to create lighter-than-air vehicles. In order for a lifting gas to be successful, it needs to be lighter than the air around it in the environment. This will allow a certain amount of weight to float in the air. Balloons, commonly found at celebrations, use lifting gases to display a message in the air. Blimps and hot air balloons use this concept to allow the transport of people. Airplanes and helicopters do not use lifting gases as their main means of staying in the air and are not examples of this concept. There are many different types of lifting gases which can be used. Here is a brief overview of some of them with their upsides and downsides. Hot Air- As you increase the temperature of a substance, that material becomes less dense because it expands. Hot air balloons and other similar inventions using steam use this concept to their advantage by maintaining a temperature difference between the inside of the balloon and the environment around the balloon. This causes the air in the balloon to be lighter than the air in environment. The hot air balloon rises because of this and allows the user to fly. This temperature difference needs to be kept, otherwise the system and will slowly stabilize and the balloon will float back to the ground. Hydrogen- Hydrogen, the lightest element on the planet, was considered for use in these applications. It was found to be dangerous though because of its affinity for combining with other substances in the air. 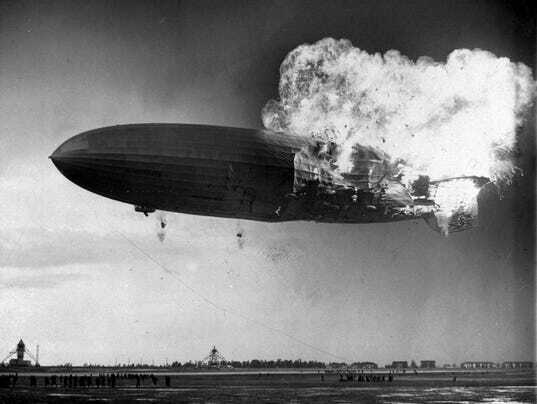 This led to multiple accidents including the Hindenburg Blimp (below) setting fire in 1937 which led to 36 deaths. Since then it has only been experimentally used as a lifting gas. Helium- Helium is the next lightest element on the periodic table. It is a noble gas which makes it highly nonreactive. The downsides to Helium is that it will lift less than Hydrogen and costs a lot more since it is rarer. Nevertheless Balloons and Blimps alike use Helium today due to the fact that it is one of the safest lifting gases to use. Neon- Neon, another noble gas similar to hydrogen, could theoretically be used as a lifting gas. It is impractical though since it weights more than Helium and therefore could lift less. On top of that it is scarcer and more costly to produce. Methane- Methane (below), or CH4, is a gas which can be used as a lifting gas in some circumstances. It is much heavier than either Helium or Hydrogen and therefore can lift relatively light objects compared to it's counterparts. Methane is also a reactive substance like hydrogen and therefore is impractical for those concerned with safety. Thank you for reading this piece! Make sure to share it on your favorite social media platforms if you enjoyed.